101 Noodle Express (Lu Wei Ju) – Overworked. Underfed. 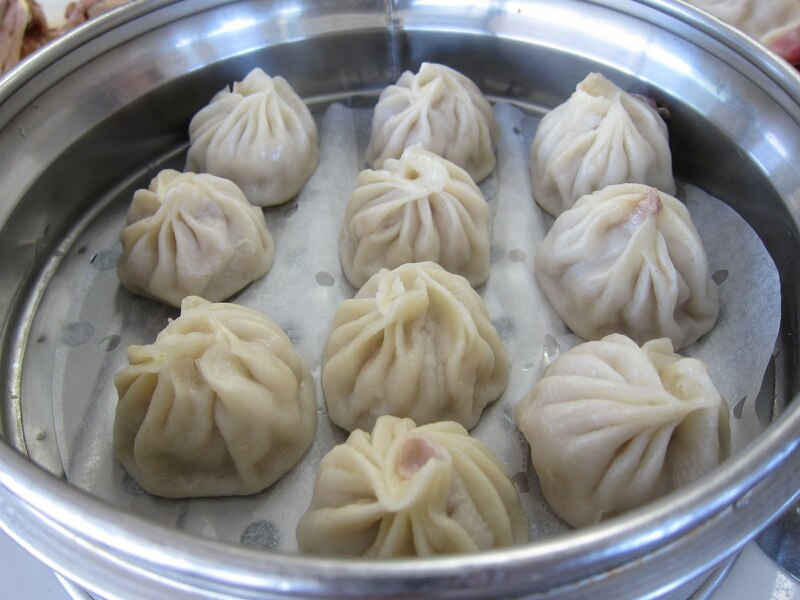 We all know Irvine is missing a solid dumpling and noodle house. A&amp;J makes a decent attempt, but it still leaves a big void. 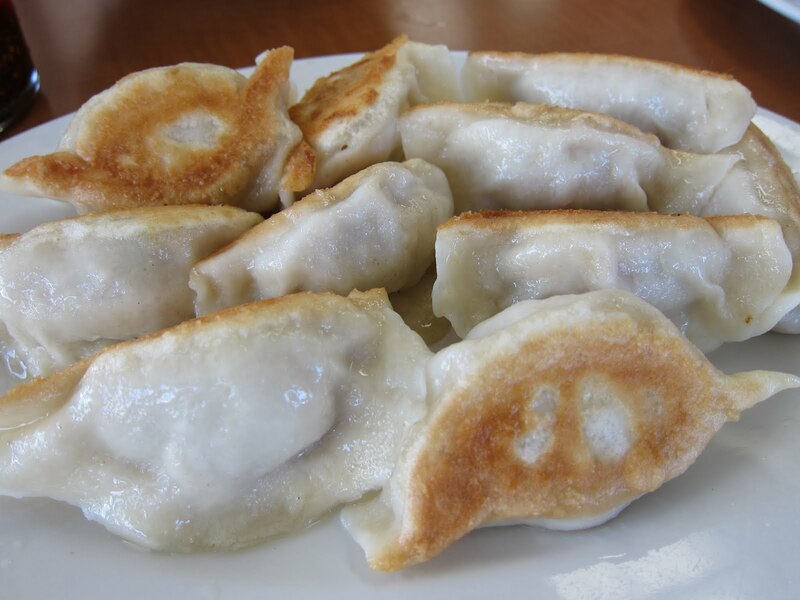 I mean, if I knew how to make awesome dumplings, I would totally open up a joint in Irvine because I knew it would win big. I’m talking lines out the door folks!! Let’s step outside my imagination for now, and talk about Irvine’s newest dumpling and noodle house, 101 Noodle Express. 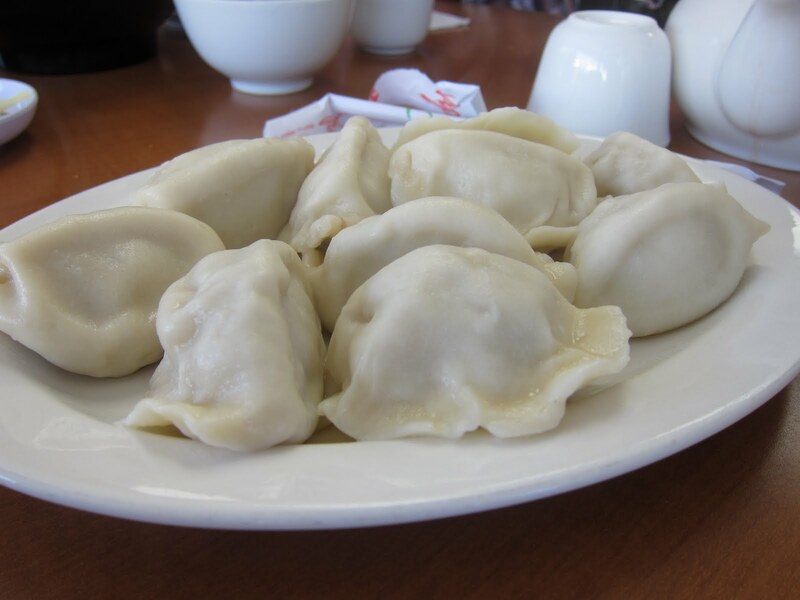 101 Noodle Express’ original location in Alhambra has been on the SGV dumpling scene for a long time. Unfortunately, Dumpling Man and I were not particularly impressed with anything there when we tried it many moons ago. Somehow, transplanting the restaurant to Irvine has changed my opinion. 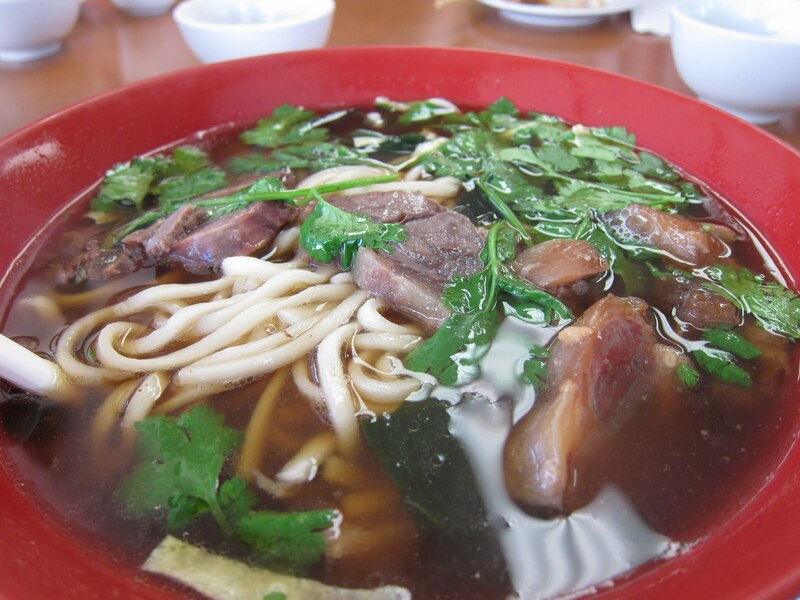 Maybe because there’s just not many options in Irvine when it comes to noodles and dumplings. 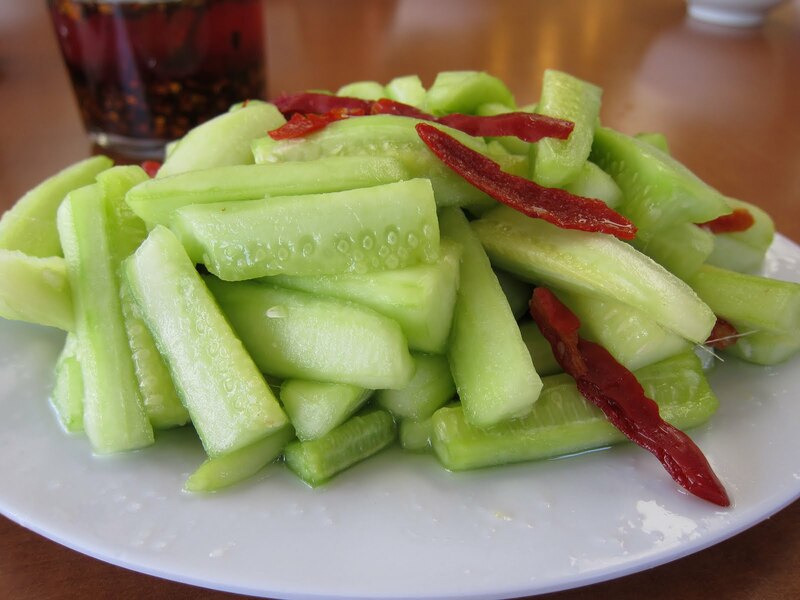 We all know I love a good pickled vegetable, and cucumbers are no exception. These were a tad on the sugary side but it was refreshing for a warm summer lunch. Apparently this dish is quite special at 101 Noodle Express. De Zhou chicken is a special dish from the Shandong region of China. 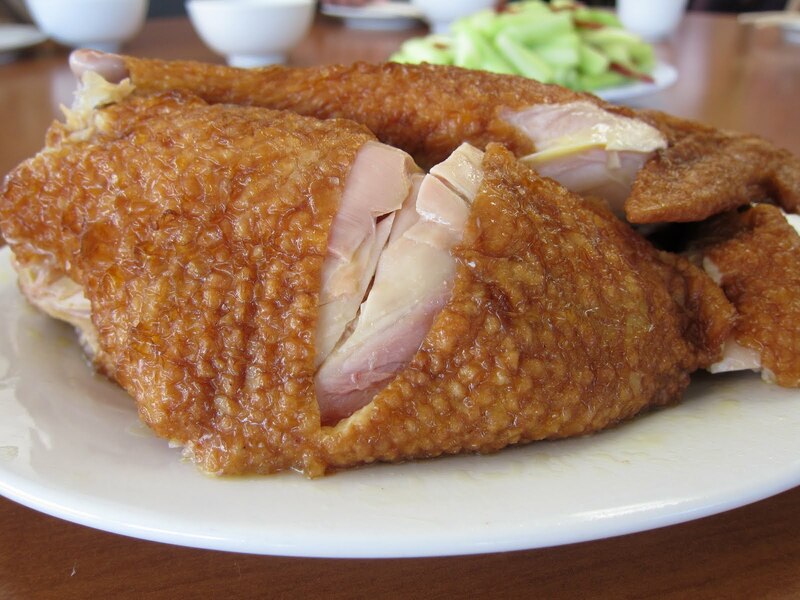 The bird is first deep fried before it is braised in spices, soy sauce, and sugar. The dish here was served cold with a soy dipping sauce. It was pretty darn flavorful and moist. Surely something I would order again. I would actually say that the noodles are stronger here than the dumplings even though half the menu is made up of boiled and fried dumplings. 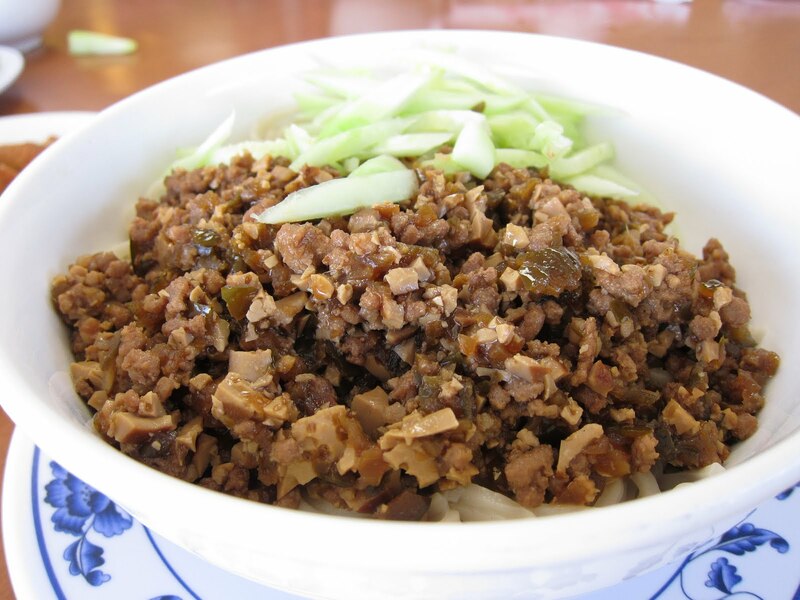 I really like the minced pork noodles here. Even though I like dry noodles, I still like a little bit of juice or sauce and this had the perfect amount. This was a good offering, but nothing too special. This was the first time I’ve had any noodle dish like this one, but I guess it’s a dish from Shandong or was it Shanghai? Mama Dumpling Man ordered this one. I really liked it. Instead of soup noodles, I would say these were more like soupy sauce noodles. The soup is thickened up with cornstarch and egg to a thick consistency, which was offputting for some and delicious for others. The noodles were swimming amidst thinly chopped vegetables, mushroom, meat, and egg. The dumplings fell a bit short. These were soupy but nothing special going on here. The texture of filling tasted a bit overprocessed and you coudln’t identify all the ingredients you were eating. It was just like a meatball. The fried dumplings were more of the same but better just by virtue of being fried. If I’m in Irvine and I’m craving noodles and dumplings, I will probably return to 101 Noodle Express, but more so for the noodles than the dumplings. The menu is quite large so there could be a dumpling that I may be missing out on, but I think it would be more of the same. I definitely want to try some of the other noodles and cold dishes. 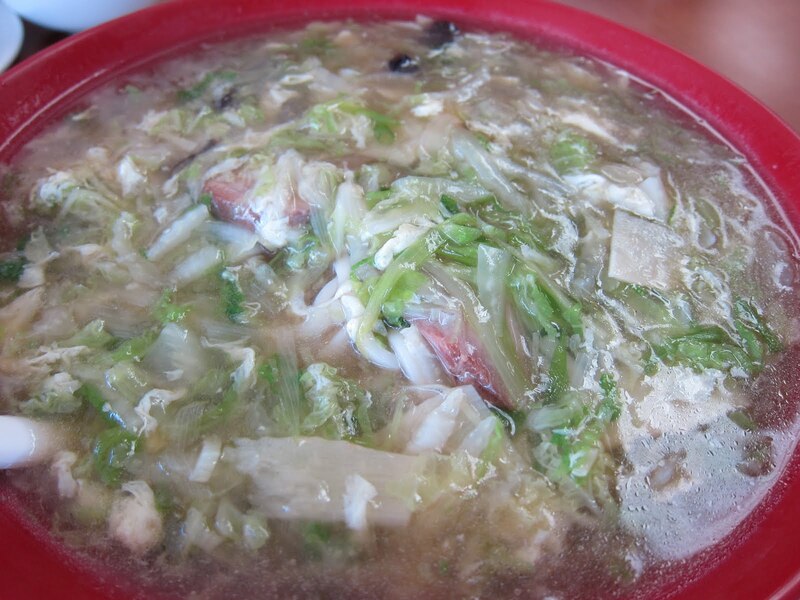 I’ll certainly have more of that De Zhou chicken and try some other cold dishes.